A team of researchers led by Columbia University have developed a new method to finely tune adjacent layers of graphene, in a research that provides new insights into the physics underlying the material's intriguing characteristics. 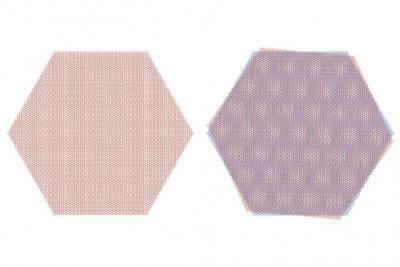 "Our work demonstrates new ways to induce superconductivity in twisted bilayer graphene, in particular, achieved by applying pressure," said Cory Dean, assistant professor of physics at Columbia and the study's principal investigator. "It also provides critical first confirmation of last year's MIT results - that bilayer graphene can exhibit electronic properties when twisted at an angle - and furthers our understanding of the system, which is extremely important for this new field of research". Researchers at MIT and Harvard University have found that graphene can be tuned to behave at two electrical extremes: as an insulator, in which electrons are completely blocked from flowing; and as a superconductor, in which electrical current can stream through without resistance. Researchers in the past, including this team, have been able to synthesize graphene superconductors by placing the material in contact with other superconducting metals — an arrangement that allows graphene to inherit some superconducting behaviors. In this new work, the team found a way to make graphene superconduct on its own, demonstrating that superconductivity can be an intrinsic quality in the purely carbon-based material. 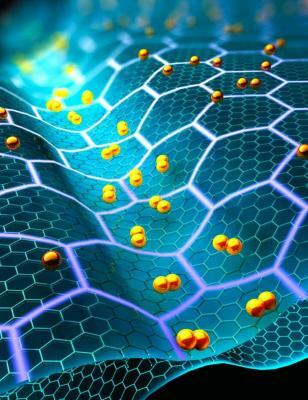 Researchers at the University of Cambridge, managed to activate graphene's potential to superconduct by coupling it with a material called praseodymium cerium copper oxide (PCCO). The researchers suggest that superconductive graphene could have interesting applications; It could be used to create new types of superconducting quantum devices for high-speed computing, and it might also be used to prove the existence of a form of superconductivity known as "p-wave" superconductivity, which academics have been struggling to verify for many years. Graphene's ability to superconduct has been speculated but thus far has only been achieved by doping it with, or by placing it on, a superconducting material - a process that can compromise some of its other properties. "Placing graphene on a metal can dramatically alter the properties so it is technically no longer behaving as we would expect," the team stated. "What you see is not graphene's intrinsic superconductivity, but simply that of the underlying superconductor being passed on." Saint Jean Carbon, a carbon science company engaged in the design and development of carbon materials and their applications, recently received (along with Western University) a grant from the The Natural Sciences and Engineering Research Council of Canada (NSERC) towards the development of graphene-based systems with special magnetic properties. The $100,000 grant will be used to cover the cost of the lab work, testing, material creation and all research associated costs. The company stated that it aims to use the funds to get beyond the lab and into working prototypes, scaled models and future commercial production. In addition, SJC hopes that "the results will play a big role in the medical field as well in energy storage for electric cars and green energy creation".